Unical MRO’s improved aircraft parking area is 30+acres with controlled access. With an average daily temperature of 65.9 degrees F, low humidity and an average of 284 sunny days per year, the Unical MRO facilities at the San Bernardino International Airport (SBD) makes an ideal location for aircraft parking and long term storage. The airport offers a 10,000 ft. x 200 ft. runway, a 24 hour a day control tower, customs clearance, international trash service, and FBO services. LAX, ONT, SNA and PSP airports are a short drive away. Unical MRO has indoor secured, humidity-controlled and monitored dedicated engine and APU storage space. We can provide pre- and post-lease inspections and maintenance as well as perform EMM “Engine Maintenance Manual” recommended bi-monthly desiccant “humidity” checks to include de-preserve and/or re-preserve as required to ensure your assets are fully protected. Engine borescope checks are also available. 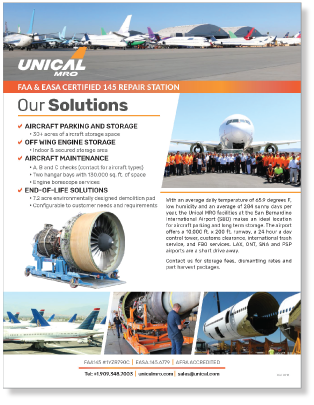 Unical MRO’s FAA and EASA certified repair station certification allows for inspection, maintenance, preventative maintenance, repair and minor alterations. 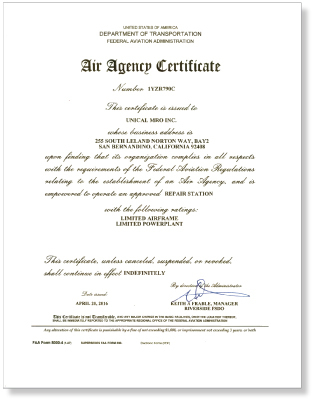 For A checks, B checks and minor C checks, please contact us directly for details on aircraft types we are authorized to perform maintenance on, or click here to see the list on our FAA Certificate. 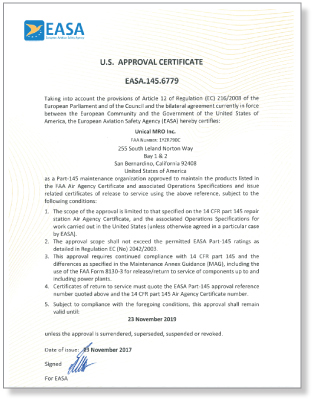 Click here for our EASA Certificate. 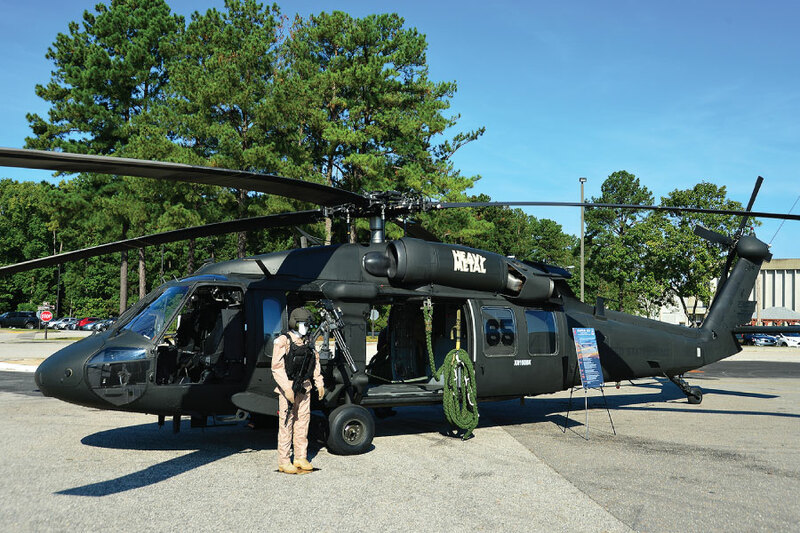 Our customized solutions obtain top value from each end-of-life aircraft. With over 125,000 sq. ft of hangar space and a 7.2 acre state-of-the-art demolition pad, Unical MRO is uniquely positioned to provide uncompromising quality, dependability, and flexible solutions that match the size and scope of your aircraft end-of-life requirements. Unical MRO is a proud member of the Aircraft Fleet Recycling Association (AFRA).